Why organic mineral fertilizer and plant food? Minerals are the “spark plugs” of the soil which “jump start” the other nutrients and make them available to the plant. Cutting back on an organic fertilizer or plant food that doesn’t have these necessary essential elements, can end up having long term effects on the soil and your plant’s health. At Peggy Green, we are all about plant health and soil health. You will find all of our natural and organic mineral fertilizer and plant food products to be the finest available. We never use fillers, synthetic chemicals or pesticides. We have innovative products that avoid the use of harmful things like cancer causing nitrates from nitrogen or phosphorus. Our products are completely safe for children and pets. And, more importantly, we create the products that you want! Micronutrients are essential in a good organic garden. A good organic mineral fertilizer is essential to a plant’s health, and will act like vitamins for plants. It will stimulate the various functions of major nutrients and enzymes. Peggy Green’s organic formulations give your plants the vitamins they need to “jump start” these functions, and ensure optimum growth and health. So, whether you are growing a flower garden, vegetable garden, and in pots, containers, or raised beds, a good organic mineral fertilizer will keep your organic garden the best it can be throughout the year. Here’s what an organic mineral fertilizer can do for your garden. 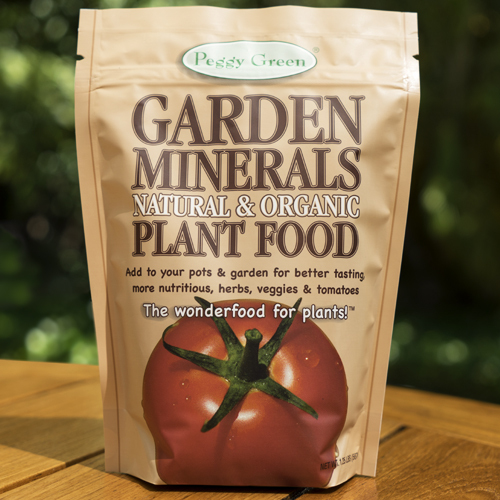 Click on the “LEARN MORE” button below or the product links at top right to find about more about Peggy Green’s innovative, safe, natural and organic plant food and fertilizer products. 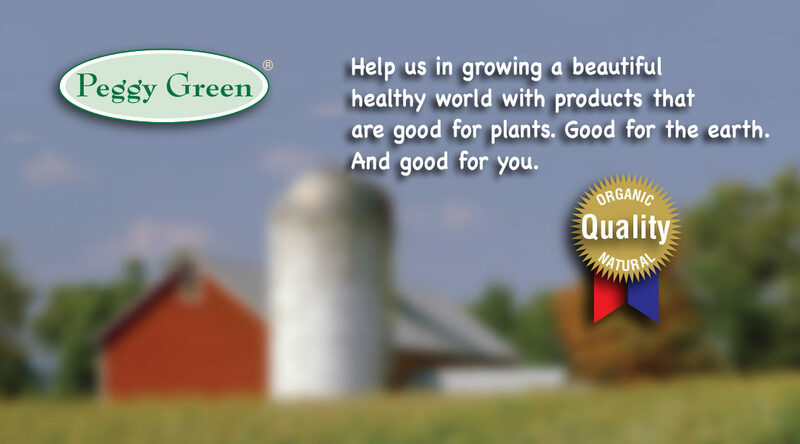 I am a big supporter of Peggy Green’s organic plant food and fertilizers. No other product has done for my plants what Peggy Green has done. Excellent!